On Tuesday, May 1, a group of Community Foundation donors and friends enjoyed a beautiful event at the landmark Rhodes Hall. After dinner and drinks on the lawn enjoying perfect Atlanta weather, the group moved inside for a discussion on multi-generational philanthropy with expert Dr. Phil Gwoke. 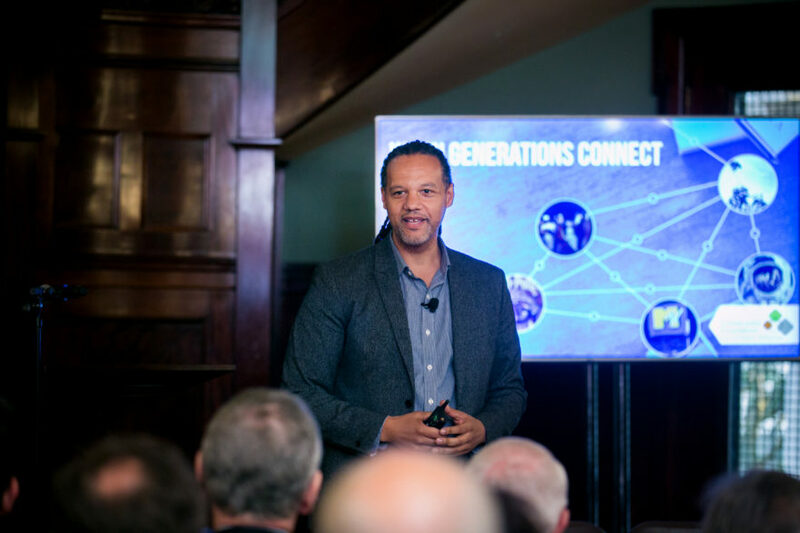 With plenty of humor and robust research, Dr. Gwoke reminded attendees that our attitudes and actions, including the ways we act philanthropically, are informed by our generational experiences. Passing along a passion for philanthropy from one generation to the next is a process that can begin early with children and should include ongoing conversations and discovery through the years. 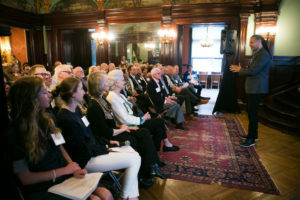 He was then joined by the Ellis and Reilly families, who shared their own local experiences and insight around multi-generational philanthropy. If you are a Community Foundation donor and you are interested in learning more about our family services or scheduling a meeting to facilitate these conversations in your own family, please reach out to your philanthropic officer. To learn more about the Foundation’s exclusive donor events, click here. To see a recap of the event, watch the video below.